My family and I recently went to see "Hidden Figures" which is based on the untold true story of three women who overcame racial and gender barriers at NASA. When I asked him what he found he could relate to most about the movie he said he liked how the women stood up for what they believed in. What a great source of inspiration this should be for all of us -- to stand up for what's right and make a difference in our world. Check out History vs Hollywood (after you've seen the movie of course!) for a comparison of the movie and real life. 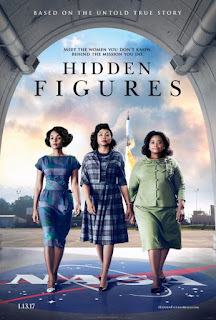 Katherine Johnson -- the main character in the movie -- is currently 98 years old and says of the movie: "It sounded good... It sounded very, very accurate."